It’s hard to concentrate on work these days. The Occupy protests have gathered apace over the past several months and it’s clear that the US, indeed the entire world, seems to be in a febrile state. The past few weeks, however, have provided us with shocking images of police violence on peaceful protestors. 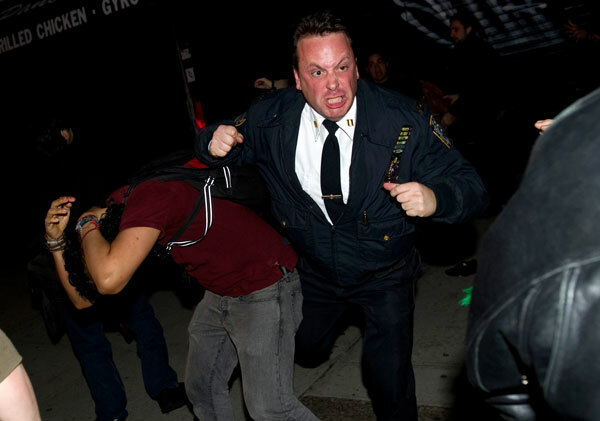 A “measured police response” during the eviction of protestors at Zuccotti Park, New York City. 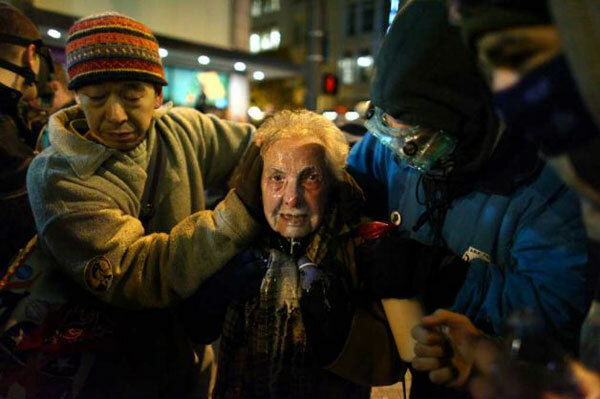 Fellow protestors come to the aid of an 82-year-old woman by flushing out her eyes with milk to recover from tear gas at an Occupy Seattle protest. 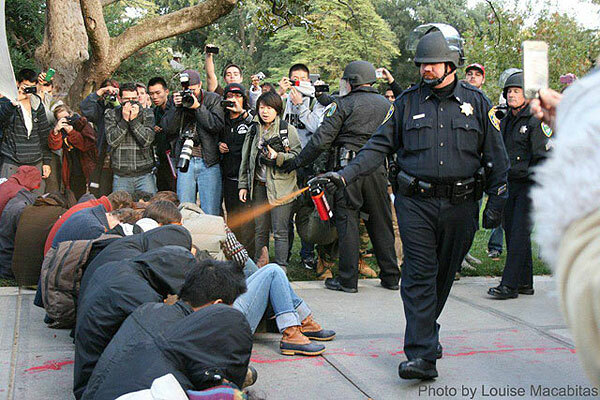 This weekend, police reacted disproportionately to the presence of protestors at UC Davis by pepper-spraying them in the face as they sat, quiet and peaceful, on a sidewalk. The video of the Davis incident is truly shocking. That police officer theatrically brandishes his can of spray before he attacks children. To me, it’s clear that the offence he’s responding to is not the violation of some petty law, but that he, the embodiment of authority, was defied. What’s even more impressive is to watch the students keep control, chant “Shame on you” & “You can go” to a bevy of clearly rattled police in riot gear—and the police withdraw. I think the police recognised—belatedly—the gross disproportionality of their response. These images are shocking enough, but in private correspondence with people my own age, I’ve received quite a few comments along the lines of “Well, they were violating local laws”—as if that’s a reasonable reaction to this brutality. And newspapers like the New York Times don’t focus on the Davis incident, but instead lazily report on how people are reporting the Occupy protests. Here, I see people both twice & half my age acting with remarkable bravery in the face of horrifying abuses of authority—and in the meantime, my own generation has apparently lost its moral compass.